Students of K.R. Mangalam World School, Vikaspuri visited JIVODAYA ASHRALAYAM (A home for the Abandoned Ladies) on May 10,2016 as a Community Outreach Programme wherein the students of class VIII collected some everyday items and donated to help them. 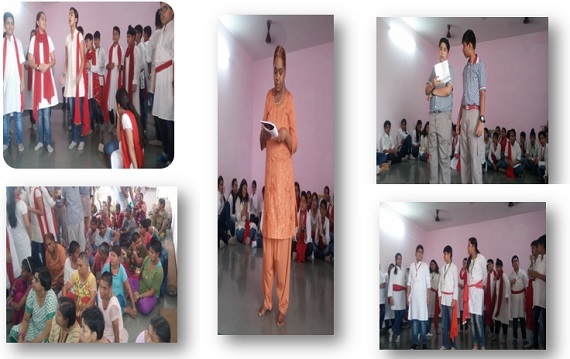 Students of class VII presented a street play on ‘Child Labour’. They were overwhelmed and welcomed the students with their open hearts. They shared their experience with the students and also performed in front of all. It was a wonderful experience for the students and they all wanted to visit the place again in future and donate something on special occasions.